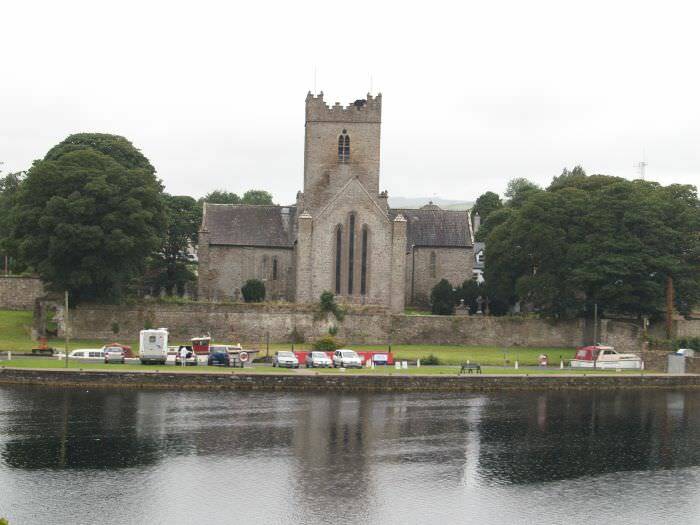 A Romanesque cathedral was built in the 1180s by Donal O’Brien but was destroyed soon afterwards by Connacht forces. A new cathedral, built in the Gothic style, was completed on the same site in the early thirteenth century. The impressive Romanesque doorway of the original cathedral is preserved in the south wall of its successor. Another attraction of the cathedral is a small stone with inscriptions in runes and ogham dating from circa 1000 A.D. The tower of the current structure, which is still used as a place of worship, is substantially taller than the original. Its turrets and battlements were added in the 1790s and a further elevation to create the belfry was accomplished in the 1890s. During the course of the sixteenth century Reformation the cathedral passed from Catholic to Protestant control. The cathedral is normally open from about 9am until 6pm (dusk in winter). Sunday service is at 11.30am every week. There is a service of Holy Communion on the 2nd and 3rd Wednesday of each month at 10.30am, and Saints’ days are observed with a service of Holy Communion at 10.30am.